Relax in this stunning, yet comfortable, one story brick home in the well established neighborhood of Georgetowne. 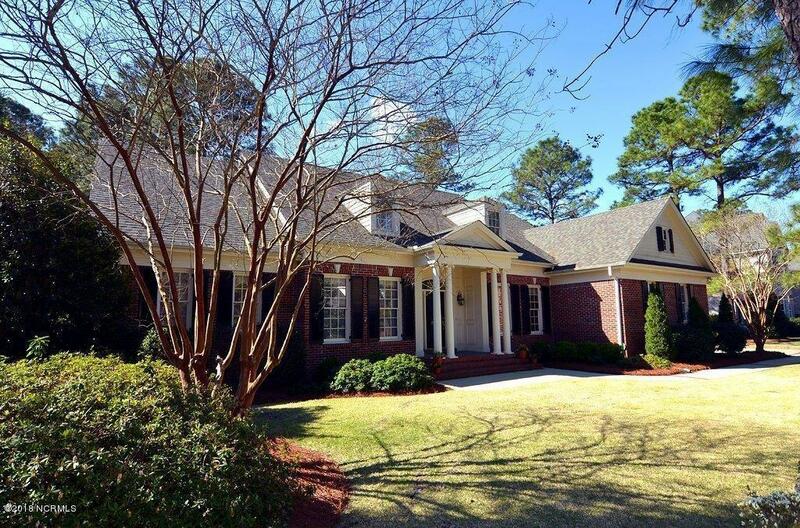 In addition to the 4 bedrooms,(the 4th bedroom is the room over the garage), there is an oversized and open entry hall, a large living room, cozy sitting room, formal dining room, separate breakfast room, open kitchen, and a tremendous screened porch. 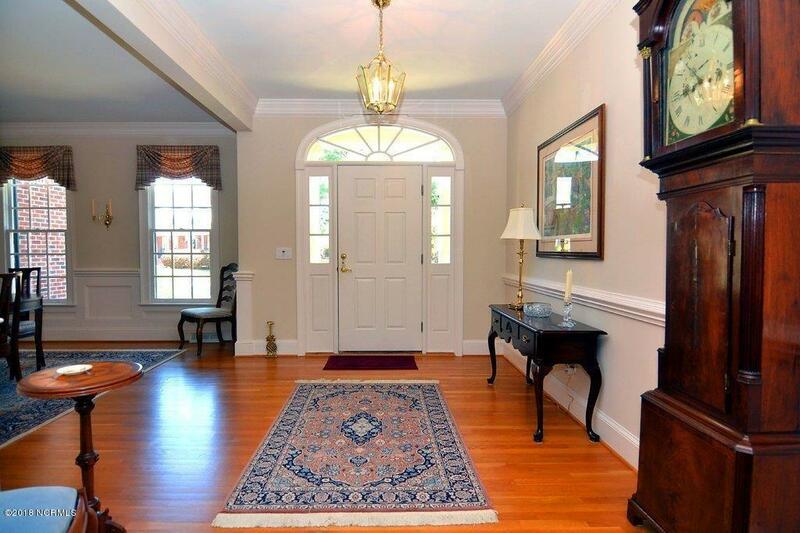 Handsome hardwood floors and crown molding are found throughout the living areas. The sunny kitchen boasts lots of solid surface counter tops, cabinets, a double oven, and a large pantry. There is plenty of space in the large Master Bedroom Suite that adds to the feeling of openness, with a corner garden tub, double sinks, double shower, and a large closet with built-ins. The two other downstairs bedrooms have an adjoining bath.The spacious upstairs bedroom has its own bath and walk- in closet. If additional space is needed for a growing family, there are two large walk-in wired attics that could become two more bedrooms. The rocking chair screened porch with 3 skylights overlooks the lovely landscaped yard, and a "secret garden", named by the landscaper. All appliances, blinds, valences and a generator remain with the home. The double garage houses a separate workshop area. The roof and H&A have been replaced in the last 2 years. Centrally located next to Cape Fear Academy, shopping and restaurants, the subdivision is only 15-20 minutes away from 2 beaches. 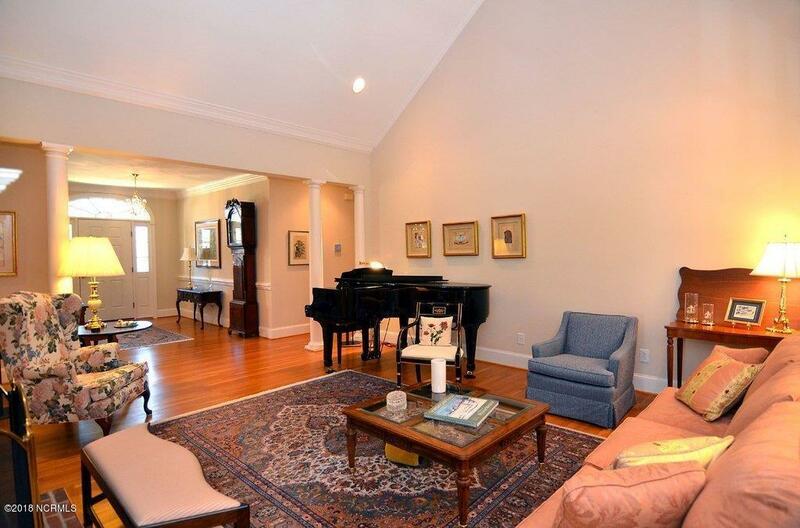 No city taxes, 300 square feet of wonderfully maintained living area for $465,000. 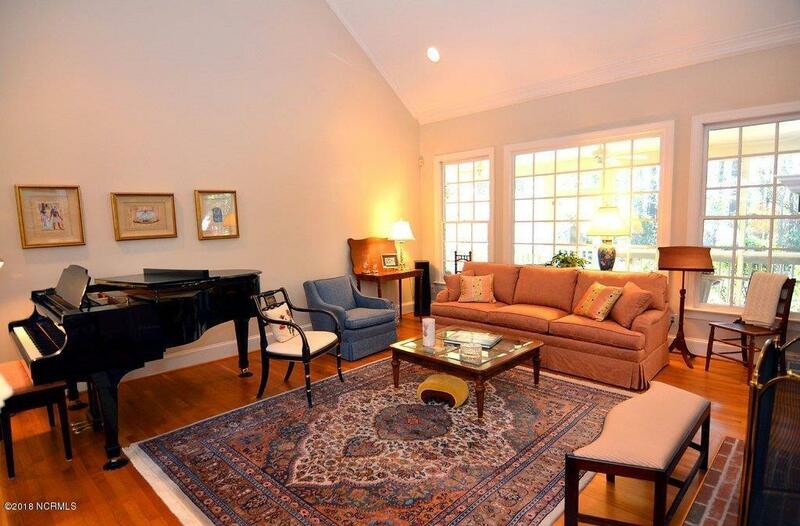 Listing provided courtesy of Sandy L Smith of Coldwell Banker Sea Coast Advantage-Midtown.